The feed solution making smallholder dairy farming more fertile in Kenya. LishaBora’s business management mobile application digitalizes the annual 1.2 billion USD in cash payments that dairy traders, entrepreneurs who buy and sell milk in the informal dairy sector. For the thousands of traders and millions of farmers, for the first time, they are building a financial history for their primary income, creating the financial inclusion necessary for loans to grow. For farmers, LishaBora overcomes the cash-flow challenges faced within the informal sector as traders are able to sell them necessary products through loans and check-off on milk collections. This provides them access to products only experienced within the formal market while giving traders an additional revenue stream. The dairy industry in Kenya is decentralized and fragmented with over two million smallholder farmers, 85% of which are in the informal sector. Contributing to 7% of Kenya’s 70 Billion USD GDP, equating to almost 5 billion USD annually, smallholders supply 70% of Kenya’s dairy products, making them key players in Kenya’s agriculture industry and the entire economy. Typically owning 1-5 cows and earning less than 2 USD per day, smallholders are kept below the poverty line as they struggle to produce more than 30% of their cows’ total milk potential, and are constantly taken advantage of by macro-level economics and industries in the formal market. Systemic inefficiency riddles the informal market, such as minimal access to high-quality products, lack of access to financial services, and poor management practices. One of the most critical issues lies in creating a reliable and sustainable last-mile distribution network for smallholder products and services. Farmers in Central Kenya live in rural areas with large distances to markets connected by poor quality roads. Many of the dairy traders who collect the milk from these farmers do not have access to the formal market due to transportation difficulties and lack of access to processing and chilling facilities. Twice a day, every day of the year, a dairy trader collects on average 45 farmers’ milk, aggregates, transports, and then sells it in rural centers to restaurants and stores. The trader then records the amount of milk in a notebook, a completely manual process that is repetitive and prone to errors. At the end of each month, they pay their farmers with cash in envelopes. Farmers in this informal setting face cash-flow issues because informal traders are unable to provide short-term credit, hindering farmers’ ability to buy dairy feeds when they have depleted their stock. Short-term credit is a benefit only seen in the formal sector. Majority of smallholder farmers are unable to apply for large-scale loans from financial institutions as they do not have any previous credit history, or they apply but with unproportionately high-interest rates on repayments. By partnering with dairy traders in Central Kenya, LishaBora is opening up greater access to the market for both farmers using LishaBora feeds and traders delivering their milk to urban centers, increasing value and reducing costs for all parties. LishaBora’s business management mobile application digitalizes the record-keeping and payment processes for the 45,000 dairy traders active in the informal dairy sector of Kenya. Instead of manually writing down every milk collection, traders can enter the information into the business management application. The application then conducts all accounting calculations for each farmer, automating the process and reducing the number of former error-prone, manual calculations. From LishaBora collecting this data and conducting payouts, these farmers and traders in the informal sector are building long-term financial histories, making them bankable and building credit. By digitalizing this process and effectively collateralizing the milk, the dairy trader is enabled to sell LishaBora’s high-impact products through the mobile application on short-term, low-risk credit. This creates a new revenue stream for the trader and solves the cash-flow issues facing the farmers while offering both the farmer and trader business analytics about their long-term growth and productivity. LishaBora’s partnerships with dairy traders leverage an existing trust-based social infrastructure. This gives access to a previously untapped market, scaling quickly to an average of 45 farmers through one partnership. LishaBora’s approach is systemic in nature, working throughout the entire dairy value chain. LishaBora provides inputs and best farming practices workshops, and co-manage outputs for Kenya’s smallholder dairy farmers to enable better farm management and unlock credit and banking solutions. By manufacturing quality-assured dry-feeds and sourcing trusted animal health products, LishaBora improves access to inputs and reduces costs for smallholders. By engaging smallholder farmers with quarterly best farming practices workshops, LishaBora ensures the cows’ productivity is not hindered by forage shortages or preventable diseases. Every quarter, LishaBora conducts this workshop with the network of one trader’s farmers. This workshop consists of cow health and hygiene, grass management, fertility cycles, and other health tips to improve production. LishaBora is the only feed company addressing the systemic reasons that keep dairy smallholders trapped in poverty including access to high-quality inputs, poor management practices, and cash-flow issues. 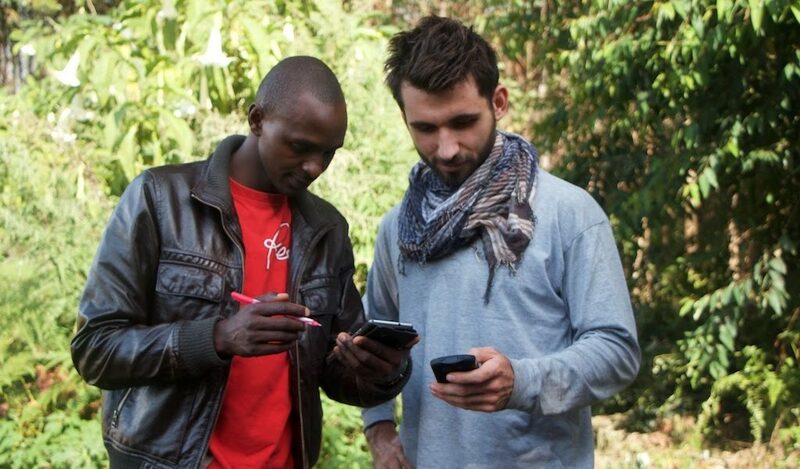 To date, LishaBora has worked with 1056 farmers and is currently, partnered with 13 dairy traders who are selling LishaBora’s high-quality cow feeds to their network of 450 farmers, and are using the business management mobile application to digitalize their milk collection process and build financial histories for themselves and their farmers. Since launching our business management mobile application in August 2017, trader’s partnered with LishaBora have seen increases in the amount of milk being delivered to them by 20-50% due to the additional services that LishaBora provides to a trader’s farmers. Farmer’s have seen a 10-15% increase in the amount milk they are producing due to our high-impact products and best farming practice workshops, and traders have seen an 85% increase in their revenue due to their ability to sell LishaBora’s products. Furthermore, studies from SPEN Kenya and USAID show farmers who store grasses can see their daily milk production increase from 60-190%, a skill we teach to our customers. For the first time, both traders and farmers are building financial histories for their primary income. The anticipated outcomes of this benefit are hard to quantify, however, this will allow both farmers and traders to apply for asset financing, allowing a previously excluded population to access larger loans With financial histories showing their daily revenues throughout the year, traders can receive loans for pasteurizers, or a farmer can purchase a new cow, helping their businesses grow. Secondly, LishaBora will be able to provide business analytics to both traders and farmers on their daily and monthly performance. This analytics will allow our customers to learn how to best manage their farm and improve their bottom line. LishaBora’s vision is to be the supply chain platform for rural East Africa spreading high-quality products and best farming practices across the region by harnessing the power of micro-entrepreneurs through business development and credit solutions. By leveraging the existing trust-based social infrastructure of the informal sector, LishaBora can scale quickly to millions of smallholder farmers. Future revenue sources can be generated from selling a larger range of products and services, such as poultry products, house staples, or farming equipment, as well as charging a commision to use the platform and managing farmer payouts. With the dairy traders building long-term financial histories, LishaBora can be the liaison for larger asset loans from banks, such as milk chillers or vehicles. Using the dairy industry as a launch pad, the application can be applied across many global value chains, to informal segments of any sector facing issues such as cash-flow and growth-restricting inefficiencies. 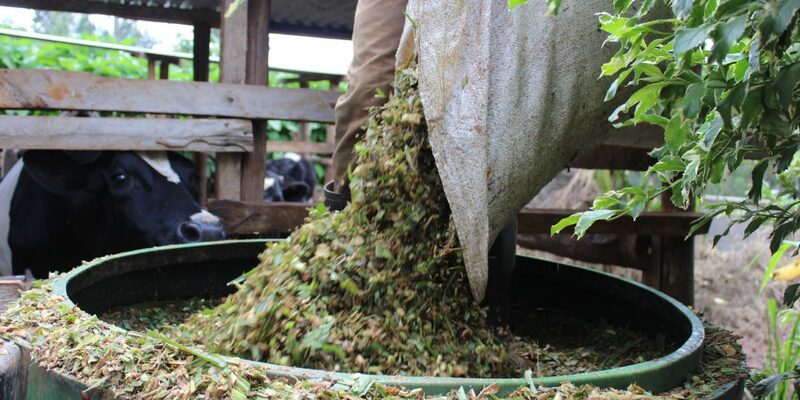 While LishaBora is targeting the Kenyan dairy industry through the mobile application, the solution can be applied to other sectors in developing countries such as tea, coffee, or cereals. LishaBora is creating a distribution network for smallholder products with our business management mobile application which leverages the trust-based social infrastructure already existing among dairy traders and farmers. The distribution model starts with the manufacturing of LishaBora’s high-quality cow inputs through a partnership with the organization Sigma Feeds. The product line includes a Dry Complete Feed Solution ‘Jawabu’ Standard and Premium, Vital Maziwa (Minerals) and Maize Germs (Feed Supplement). These products are then delivered to various dairy traders in the Central Kenya region. When a farmer order feeds from their respective trader, the trader then places the order on the business management mobile application. For the last-mile distribution, the farmer picks up from the trader’s storefront or is delivered to by motorcycle taxi. The business management mobile application is provided to the trader free of charge, with the opportunity to lease a smartphone from LishaBora if one is not available. Using the application, traders can enter data on daily milk collections, orders placed for LishaBora’s products and loans given to smallholders. At the end of a pay cycle, traders can easily process payouts to their smallholder farmers based on the automatically calculated balance. With the application, they are creating financial credit histories for themselves and their farmers, reducing time spent on manual erroneous tasks like data entry and freeing up time to scale their businesses. In the future, LishaBora plans to charge a 1% admission on all loans given through the mobile application. This approach is sustainable and proportionate to the earnings of traders. The Digital Africa challenge, in partnership with Agence Française de Développement and BPIfrance, invest in startups with the objective of offering a long-term support to the emergence of mature and solid digital ecosystems, catalyzers of new economic opportunities. LishaBora took part in the European Union – African Union 2017 Summit in Abidjan. Scaling operations through the partnership with Palmhouse Dairies Limited. Palmhouse Dairies Limited is a large Kenyan dairy supplier processing over 10,000 litres of milk per day. 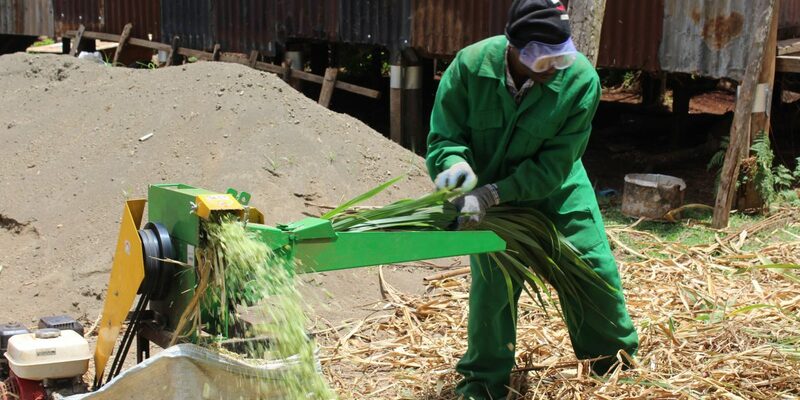 After consolidating a partnership, LishaBora has successfully scaled to distribute their feed solution to Palmhouse partners, selling to a wide member network and cultivating usage data to further hone their operations. The Village Capital Hardware Incubator brought together startup companies across sub-Saharan Africa to develop their business model and share ideas among entrepreneurs. The incubator took places in Nairobi and Accra over three weeks. Winner of Kenya Climate Innovation Centre’s $20K grant to expand capacity and test new products. With further funding secured, LishaBora is well equipped to scale and poised to develop additional services. 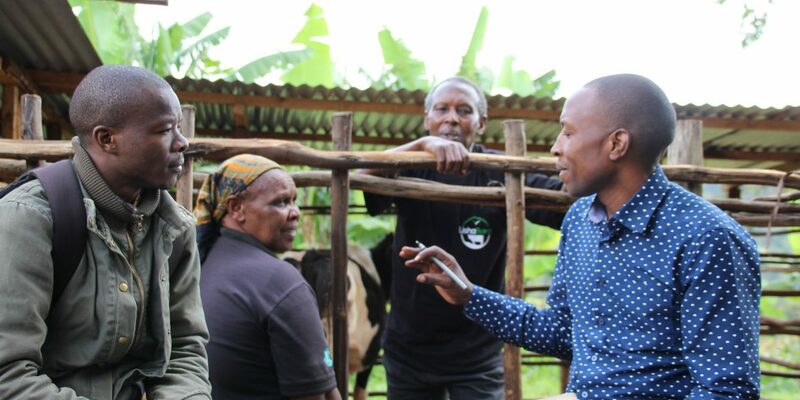 At full potential, the venture plans to spread across Africa to offer all-in-one health and feed solutions, coupled with education around cow health and brokering, to return vitality to the smallholder dairy sector.